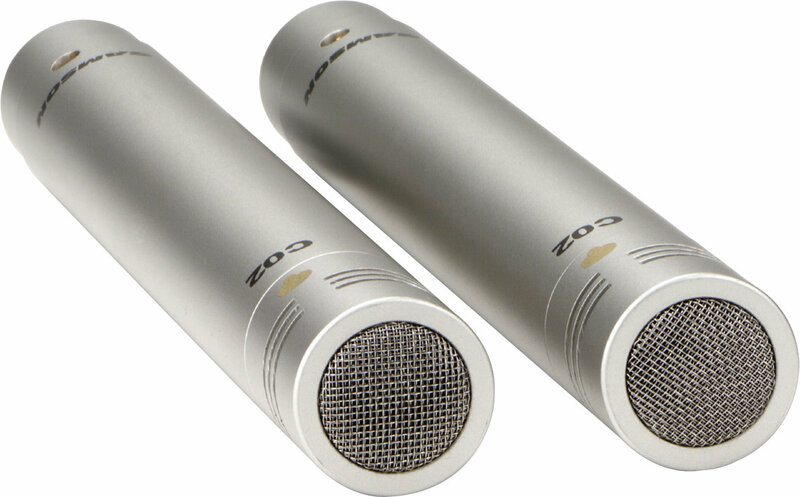 If I needed to get a great pair of overhead mics on a budget, I'd get the Rode M5 Matched Pair. These small diaphragm mics are the best pick for most people. They also work really well for miking up an acoustic guitar, a choir, and tons of other applications. At around $200 (for the pair! ), you get a flexible and powerful addition to your microphone arsenal. This matched pair of Rode M5s are one of the smartest picks you can buy, for the price. You can mic drums, guitars, orchestras, choirs, string quartets, and even lead vocals with this very flexible microphone option. For $200, you get one of the most useful additions to your microphone locker. If you’re reading this article you probably know a little bit about using overhead mics. Overhead microphones are those used in sound recording and live sound reproduction to pick up ambient sounds, transients and the overall blend of instruments. They are used in drum recording to achieve a stereo image of the full drum kit, as well as orchestral recording to create a balanced stereo recording of full orchestras. It is common to use a matched pair of microphones in order to catch a great stereo image. Of course, there are numerous ways to mic overhead ambiance. Some options use a single microphone. If you’re unsure, go check out Recording Hacks, which has a great comparison of different ways to mic drum kits. What exactly does “matched pair” mean? If you try to use two different mics for X-Y coincident stereo recording, the inevitable result will be an unstable and ill-defined stereo image that appears to wander about, with different instruments affected in different ways. This isn’t a subtle effect, either — it takes very little difference between the two mics to make this a serious problem. This is precisely why the high-end mic manufacturers go to such trouble to maintain tight tolerances in producing matched pairs, and why companies producing more affordable mics offer hand-selected matched pairs. What Makes Great Overhead Microphones? The mics should have a low noise floor, meaning they won’t have a lot rumble on the low end. On the high end there should not be any harshness or hissing. They are meant to capture the ambiance of the room, so they generally should be warm and quiet. They should be durable, since you will be moving them constantly into all sorts of configurations. Great overhead mics should be a matched pair, if you can afford it. Thankfully, the price of matched pair mics have come down to a realistic price where most of us can afford to have a very acceptable solutions. Rode, the manufacturer of our pick, ensure there’s a variation of no more than 1dB sensitivity between any matched microphones. While there are nicer / quieter microphones out there (going for considerably more money I might add), the M5 is a serious contender in its price range – in fact, if you can’t do professional-quality recordings with a pair of these microphones, then it’s your chops that are the issue, not the quality of the gear. As a stereo pair the mics are also very effective, and well matched in sensitivity. They are useful in both spaced and coincident configurations, the low end always sounding tight and controlled. The M5s were very easy to position, as the former are an inch or so shorter than the NT5 and significantly shorter than the NT55. I bought these for Overheads for my Drums.They were a perfect fit with the rest of my Mic setup. Really made a BIG!! Difference.Really brought out my Kick Drum and just gave it a killer Stereo sound. I bought the matched pair around Christmas 2016 time . I had been looking for a more natural sound for my Gibson J185ec jumbo. I have always had great sound live but have been searching for a great sound for recording and the M5’s have been the best I have tried so far. Especially for my budget! I am a Rode fan and have a 1 NT1-A. It sounded good for guitar, but I was looking for a little more warmth and got it with M5’s. Their light weight also is a plus for mic placement. I am sure there are some great mics out there but these provide the sound I like and you can’t beat that price. The Dirty Mojos used the Rode m5s on their EP. If you’re new to the whole overhead miking game, consider getting the Rode SB20 Stereo Bar. It has all the spacing measurements and directional arrows for some of the most common stereo imaging patterns. It works with all other types of mics as well, so this is another one of those tools that is a smart buy because it will see a lot of use in your studio if you are ramping up your overhead miking and ambiance recording game. At $200 (US), the Rode M5s will make a great addition to any studio, as these mics can be used in so many applications – especially in concert with the stereo bar. 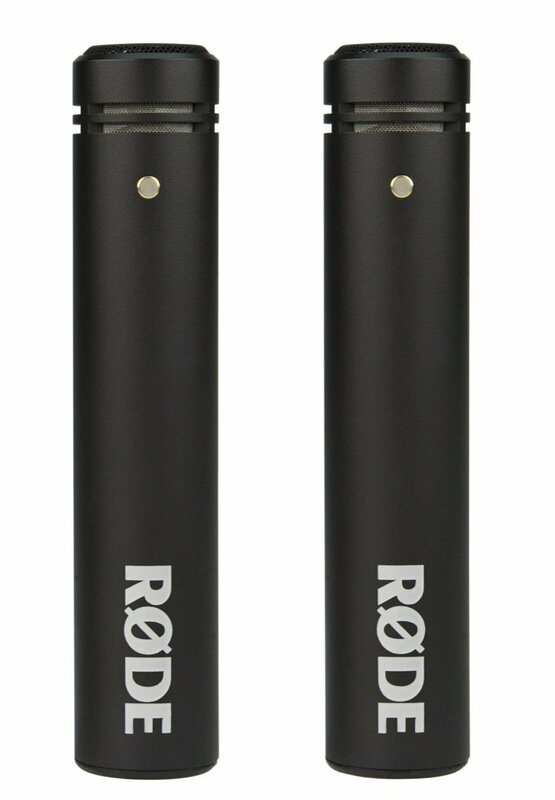 For almost any sort of stereo imaging and ambiance recording, the Rode M5 stereo condenser pair is the one to get. We'll send you an email when there is an eligible deal, promo code, or special on the gear we recommend. While $60 cheaper, the Samson C02 performed very well, but were a just bit noisier than our main pick. These will work great for stereo miking ambient sounds of fairly close audio sources. When trying to pick up sounds farther away, the noise floor went up considerably as we increased the gain. If you are absolutely on a budget these are the ones to get. We send one email at the end of each week, never more than that. Also, we hate spammers and will treat your email with utmost respect. Did we miss a recommendation? Is there something you'd like to see us review? Typos? Mistakes? If so, drop us a line.